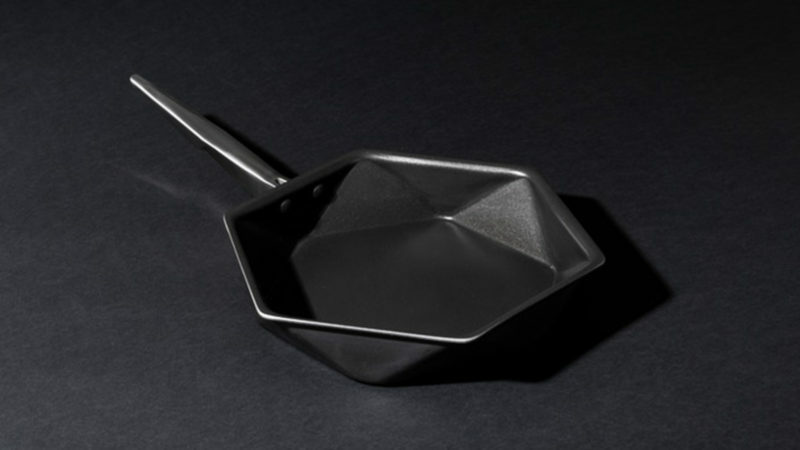 When it comes to pots and pans, not everyone is interested in avant-garde design and innovative aesthetics. Which may explain why you may not have heard of the London-based houseware brand Edge of Belgravia. Dedicated to pushing boundaries, Edge of Belgravia recently launched a new Non-Stick Pan Collection that is guaranteed to turn your head. But their striking, highly angular structure isn’t just for show. 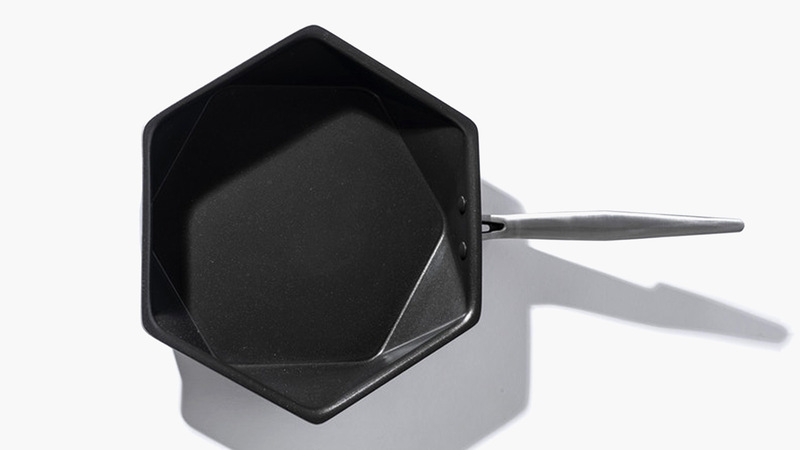 According to Edge of Belgravia, the oppositional hexagons of these pans’ outer edges are specifically designed to facilitate pouring onto various surfaces. 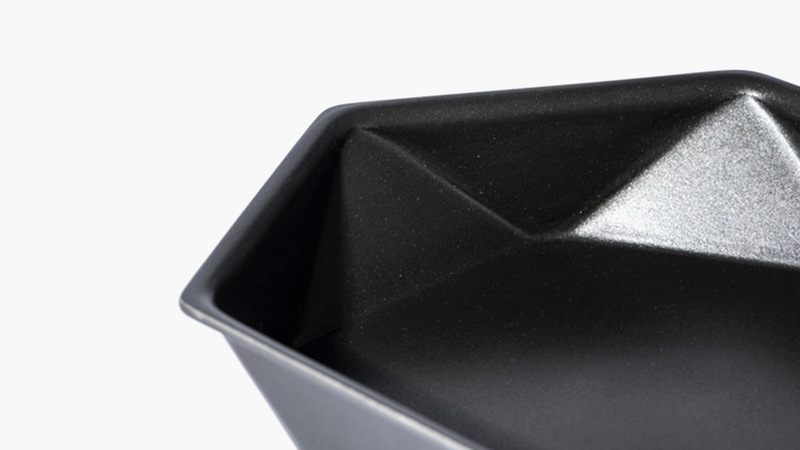 This unique shape is repeated in all three Stingray pan sizes – the 8-inch small, the 10-inch medium, and the 12-inch large. 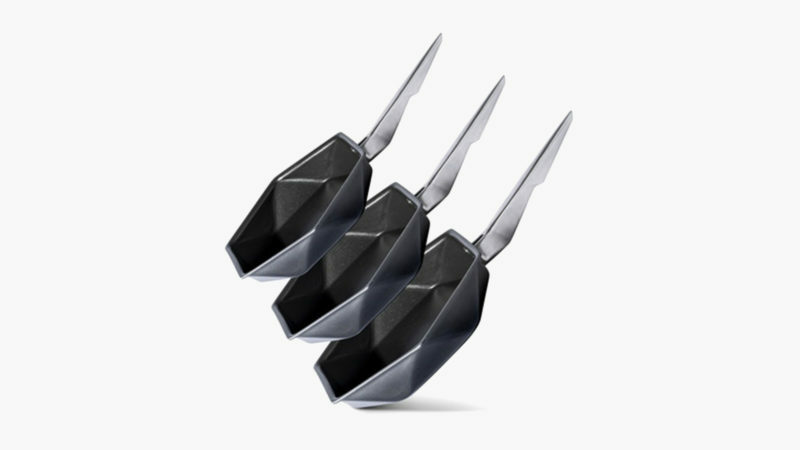 All three pans feature hollow stainless steel handles and are coated with state-of-the-art Swiss Ilag professional non-stick coating.